now available / Mattogno's 'Inside the Gas Chambers' !! The always thorough and courageous Italian scholar, Carlo Mattogno has a new work, Inside the Gas Chambers, The Extermination of Mainstream Holocaust Historiography. 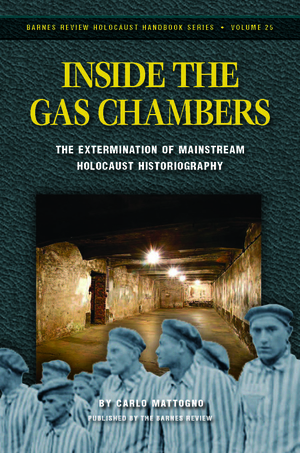 This is a must read for anyone seeking the truth about the unsupportable & absurdly claimed 'holocaust' gas chambers. "By means of this book, mainstream Holocaust historiography has suffered a defeat which comes close to its intellectual extermination". Indeed, science, logic, and rational thought trumps laughable propaganda. I've quoted the publication blurb below, read on. The tide is so turning. 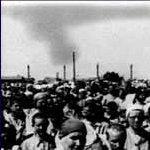 Since the early 1990s, critical historians have published a steadily growing number of carefully investigated studies on the so-called “Holocaust.” Hence the orthodox historians, usually paid by the government, were compelled to do something against the rising tide of revisionist arguments. Therefore, after a conference had been held in Germany to discuss the matter, an anthology appeared in early 2011 under the aegis of the German historians Günter Morsch and Bertrand Perz. 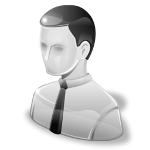 It claims to refute the arguments of critical historians. Indicative for this study is, however, that revisionist arguments are basically not addressed at all. Hardly any of the many revisionist works which have appeared over the past 20 years is even mentioned. In the present book, Italian scholar Mattogno mercilessly exposes the embarrassing superficiality and dogmatic ignorance of these historians. Over and over again it becomes clear that their claims are in part utterly unfounded or are frequently based on the distorted and disfigured use of sources. Based on his unparalleled knowledge of the source material, Mattogno aptly reduces the theses of the court historians to absurdity. This book summarizes the arguments for and against every single gas chamber claim made for any of the German war time camps: Auschwitz, Belzec, Chelmno, Dachau, Majdanek, Mauthausen, Natzweiler, Neuengamme, Ravensbrück, Sachsenhausen, Sobibor, Stutthof and Treblinka. Even the mystical “Gas Vans” are covered plus the euthanasia centers at Bernburg, Brandenburg, Grafeneck, Hadamar, Hartheim and Sonnenstein. This is the most comprehensive and up-to-date summary of revisionist knowledge. By means of this book, mainstream Holocaust historiography has suffered a defeat which comes close to its intellectual extermination. Re: now available / Mattogno's 'Inside the Gas Chambers' !! It does not show up yet on the Barnes Review website. Hopefully it will soon. I couldn't see it under "holocaust handbooks" or even "holocaust, other" I didn't even see it under "New items." So I can't see any page on barnes that actually lists a price. But there is a link to purchase it from Castle Hill in the UK. It seems to me that Barnes in the States does not have it in their warehouses yet. Hopefully soon. Alright, finally it is available from Barnes. Thanks for the update - been waiting for this!